Enjoy this cultural extravaganza and learn about the unique Garifuna culture of southern Belize! The perfect choice for small groups and families, throw yourself into this hands-on tour with your friendly Belizean guide. If you are looking into a unique, authentic and different experience for you, your friends or family, then come and join us for one-day package that will give you in-depth insight into the fascinating Garifuna culture. In your small group, you will delve into the world of traditional drum-making, drum-making, dancing and other aspects of the Garifuna culture, and be served with a delicious traditional Garifuna lunch. All under a beautiful open-air thatch palapa on the edge of the Belizean jungle. The perfect way to dive into local culture! Come and experience a two-hour Garifuna drumming, dancing and dinner extravaganza. Under a beautiful traditional Thatch Palapa on the edge of Punta Gorda town, you will be given a brief overview of the fascinating Garifuna people and culture of southern Belize. You will then be treated to a professional group performance in a number of traditional rhythms and songs. If your feet start to tap along, then don't despair, as you'll be given the opportunity to join an impromptu traditional dancing lesson. Once you have worked up a slight sweat and earned your dinner, it's time to sit down, relax and enjoy a traditional Garifuna meal. An authentic and interactive Garifuna drumming lesson for all ages. 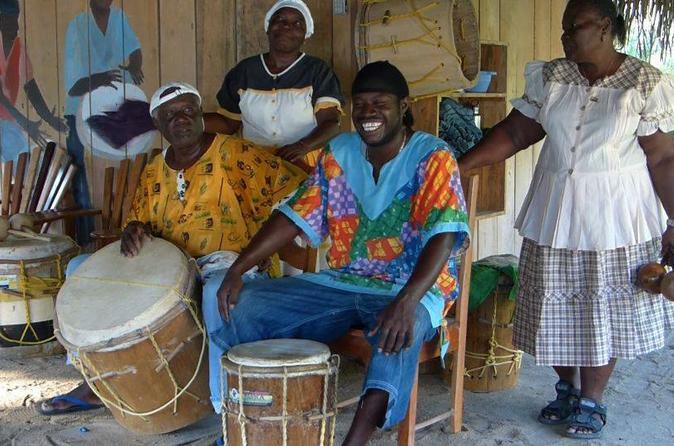 Join a whirlwind introduction to the fascinating and unique culture and music of the Garifuna people of southern Belize. Fun for all ages, abilities, backgrounds, even if you've never touched a drum in your life. Everyone loves learning to play the Garifuna drums. 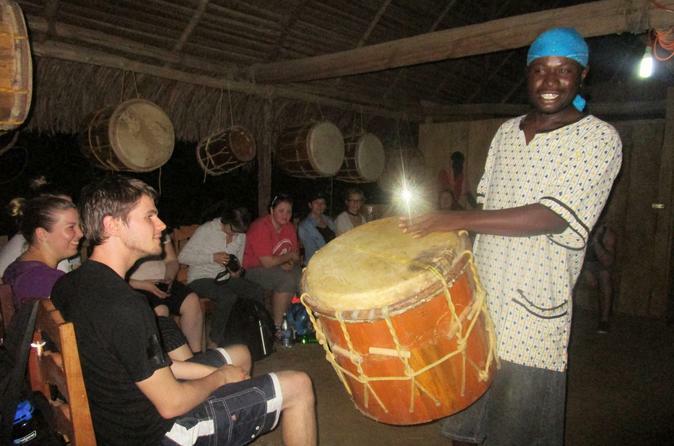 Your instructor will give you a brief history of the unique UNESCO recognized Garifuna people, music and culture. He will then launch straight into your drumming lesson, teaching you a simple beat on your own large "segunda" bass drum before joining in on his own drum with dynamic and fast rhythms and songs.